SEGA is playing for keeps in the mobile world with Revolve8: Episodic Dueling, their real-time strategy game for Android that attempts to compete with giants in the genre like Clash Royale. To do this, they’ve drawn upon references from the sector to create a MOBA that has you face other players in 3-minute online matches. It follows the classic mechanics of destroying the rival tower and using cards to summon troops. The great graphics, along with an original one-player mode, make it a worthwhile title that’s now available to play, despite only being released officially in certain geographic areas. 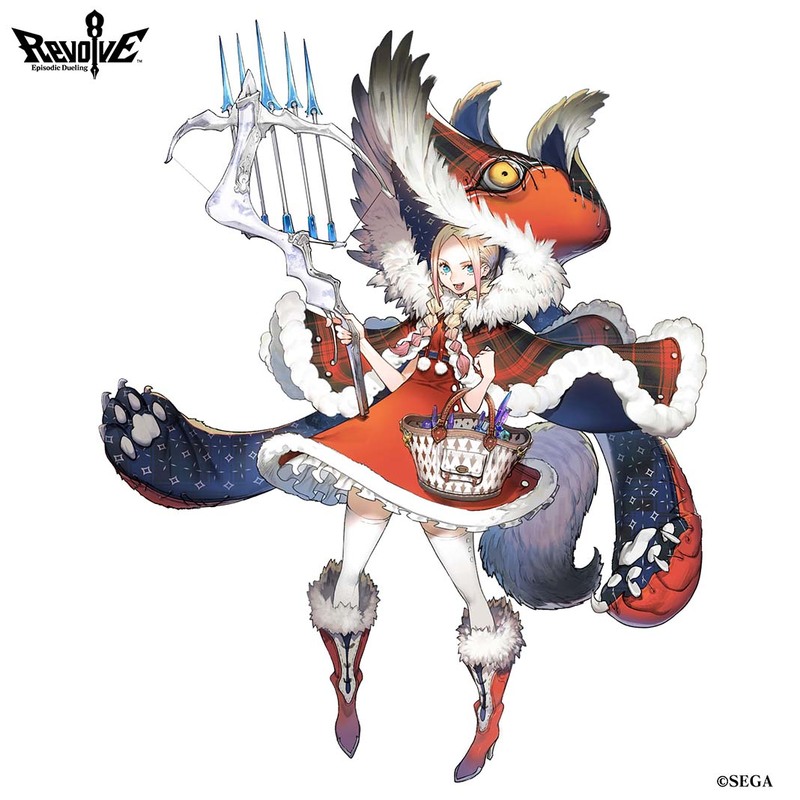 SEGA wants Revolve8 to play in another league, as shown by its internal production, with participation in the project from the one and only Koji Igarashi, known for many years as the producer of the saga Castlevania, who’s worked on the character design; and Masayoshi Kikuchi, one of the company’s heavyweights who’s worked on iconic sagas like Yakuza, Jet Set Radio and, —sigh— Panzer Dragoon. On an artistic level, you’ll notice all the work put into this game, beyond its anime style and detailed 3D graphics with a hint of the trademark, there’s a whole hodgepodge of different characters taken from different fiction and folklore sources. In other words, you’re just as likely to find Cinderella riding a motorcycle made of pumpkins as you are to deploy a troop of Lilliputian soldiers or invoke a hard-core version of Momotaro from Japanese stories. That said, beyond the fact that the gameplay is focused on online competitions, with its system of leagues, cups, and chests to strengthen cards, it also offers a single player mode where you have to follow the personal story of each one of the characters. It’s as good of an excuse as any to get the most out of this F2P. The game has initially been released in soft-launch mode for Australia, New Zealand, Indonesia, Malaysia, The Philippines, Thailand, Singapore, Vietnam, Taiwan, Hong Kong, and Macao. It’s available in English, Spanish, Japanese, Chinese, and French. Although the international release will happen eventually, you can already download and play it without any geographic limitations through its APK file, available on Uptodown.